The obvious benefit of buying a used car is the price. In most cases, used cars are much cheaper than their newer counterparts, which is one reason they are so popular. Still, that doesn’t make a used car cheap in the strictest sense of the word because it is still a car, and they cost a lot of money regardless of their status. There is no shame in wanting to slash the cost of a used car even further. In fact, you should try as hard as you can to get the best deal possible if you want to treat your bank balance with respect! Yet, lots of used car buyers don’t try and cut the cost – they just find one that is affordable and pay the retail price. 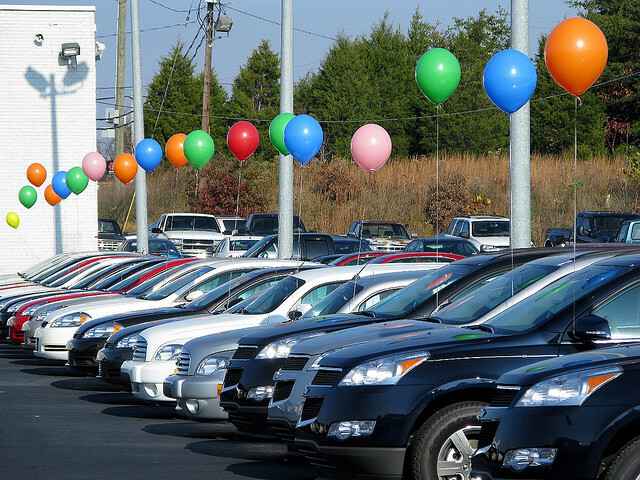 If you want to find a bargain on your next used car, here are your next steps. What you need to do is find out who are the cheapest vendors in your area. When you know who sells used cars at the best price, you can head to them for your first quote. In all honesty, where’s a better place to find a cheap car than the cheapest car dealership on the market? You will need to know more the price, though. Before you make a definitive choice, you need to know whether you can trust them, or whether they are playing you for your money. To do that, check out their reputation and their previous track record. For example, the web page http://www.stlouisautostop.com/used-jeep-hazelwood-mo is reputable if you are looking for a Jeep. Both pieces of information should give you an insight into the company and their trustworthiness and legitimacy. Never go with the first quote you find because the odds are against that price being the cheapest. Even if you find one that you like, don’t rush into anything and don’t make a final choice until you have all the facts at hand. Okay, they may be a cheap dealer, but that doesn’t mean that all their cars are cheaper than the other dealers in town. It is not beyond the realms of probability that there is a car of the same make and model that is cheaper elsewhere. So, make sure you look at every possible angle first. Try and visit as many dealers as possible to give you the broadest and most credible sample. Sales representatives like to play a game where they make you think they are doing you a favor, but, in reality, they are not. They do this by offering you all kinds of extras at the beginning of the negotiations that you think comes as standard. However, as you start to haggle, they start to take away the extras to lower the price and make you think they are giving you a good deal. They are not – they are playing you and hoping that you won’t notice the trick. To avoid this con, ask them for a detailed quote that details everything that comes as standard. That way, they cannot trick you into a sale that means you lose out on the deal. And, if they don’t include what you want, make sure you ask for them, free of charge of course. Certain extras sweeten the deal as they give you a backup should anything go wrong. For example, if the car breaks down in the first year, the warranty will cover any charges for free. As used cars are not notorious for the durability, a warranty is essential. If they refuse, make it clear that you need the extras or the deal is over. To close the sale, they will almost always buckle. One trick that you have up your sleeve as the buyer is to play the competition. Dealerships love taking money from their opposition. It increases their market share and dilutes their opponents, which is always nice. So, all you need to do is make them aware that their rivals are offering a better deal, but that you are open to all quotes. Hopefully, they should take the bait and try and beat the rival offer, making it much cheaper from your point of view. Sales reps feed off your anxiety. As soon as they see a shred of weakness, they go in for the kill as that is their best chance of making a sale. However, if they cannot tell what you are thinking, they cannot pressure you into a rash decision. As a result, it is important that you don’t make any comments with regards to the offer. Even if you like it very much, don’t let them know. Otherwise, they will make up a bogus statement about it being the last in stock to force you into a decision that should wait until you have all the facts. Take a deep breath and stay calm. The pressure on you to find the best deal is going to make your eyes water, which in turn will manifest itself in a silly judgement. The stress of buying a used car is huge, and the result can be life changing without trying to sound too over the top. To find the best deal, you need to take your time and not doing anything impulsive. Nothing good comes from being rude and impolite. If you are off hand with the sales rep, they will only increase the price to get back at you for your rudeness. Worst still, they may try and catch you out on purpose as retribution. On the other hand, if you are nice and polite, they are more likely to do you a favor. It is human nature that they will want to help the people that they like as opposed to the people that they don’t like. Finally, you have to haggle and haggle effectively. The key to any negotiation is to find the price that the seller is willing to sell at, and then exploit that fact. If you can do that, you will drive home with a new motor and plenty of cash in your back pocket. Hopefully, these tips will help you save money on your next car.